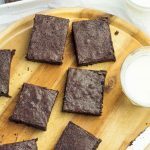 These Gooey Chocolate Brownies have a crisp, sugary top and are deliciously soft, gooey and fudgy inside. Why not get baking with the kids this Easter? 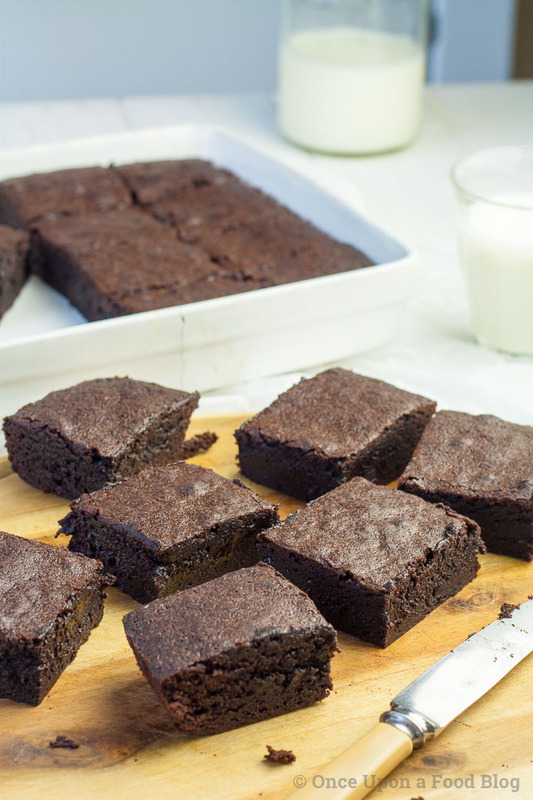 Super Gooey Chocolate Brownie anyone? Chocolate seems to be part of the daily menu at this time of year doesn’t it? 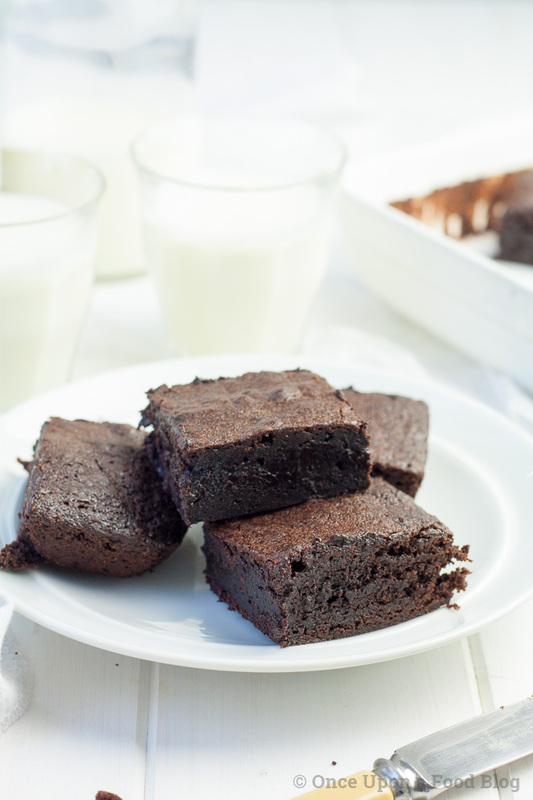 So why not add in some more with one of these deliciously soft, gooey, fudgy brownies? I promise you they will not hang around and you can even get the children involved as they are so easy to make. Just make sure an adult melts the butter and whisks in the sugar. Why do I have to whisk the sugar into the butter? I’ve found it gives a better result if you whisk the sugar into the butter but I’m talking about using a hand balloon whisk here – nothing electric at all. The last thing you want is to end up covered in hot butter and sugar. And the sugar won’t dissolve, or even mix in well, but it is worth adding it before you add any of the other ingredients. 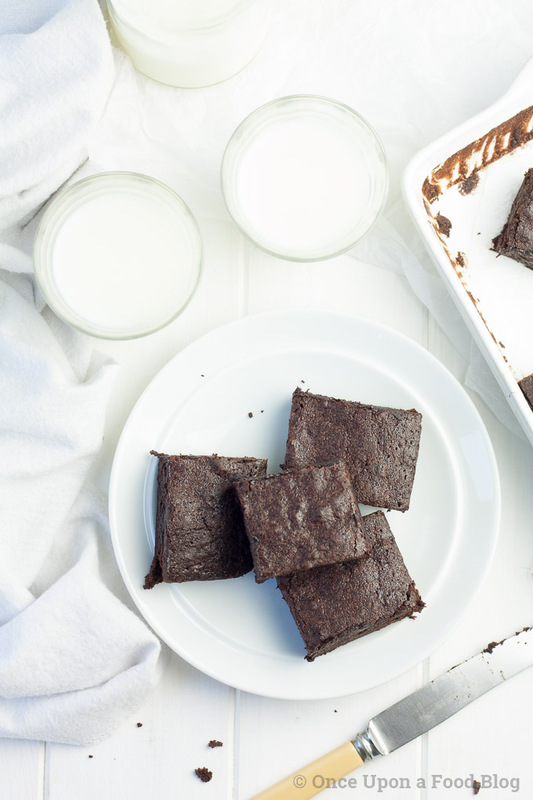 What makes these brownies so gooey? The secret is in the addition of cocoa powder instead of chocolate. 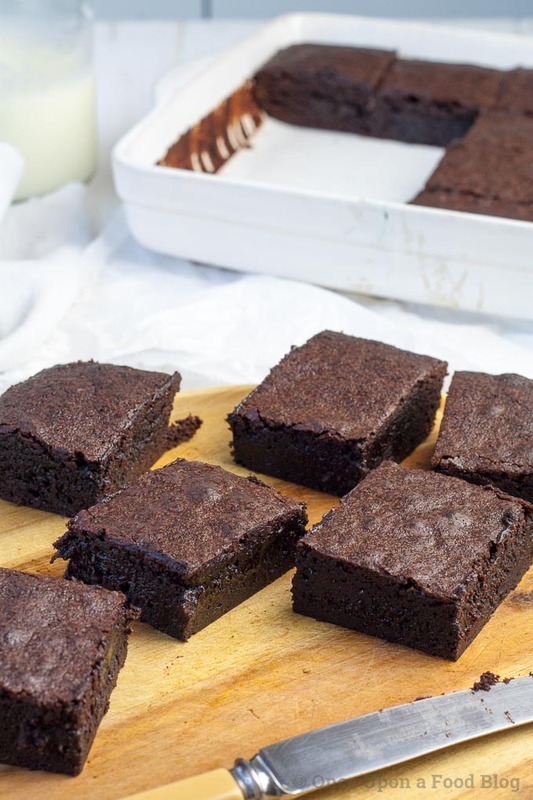 Basically, if you flavour your brownie with chocolate then you need to add less butter as both are fats. Chocolate sets at room temperature whereas butter is soft at room temperature. 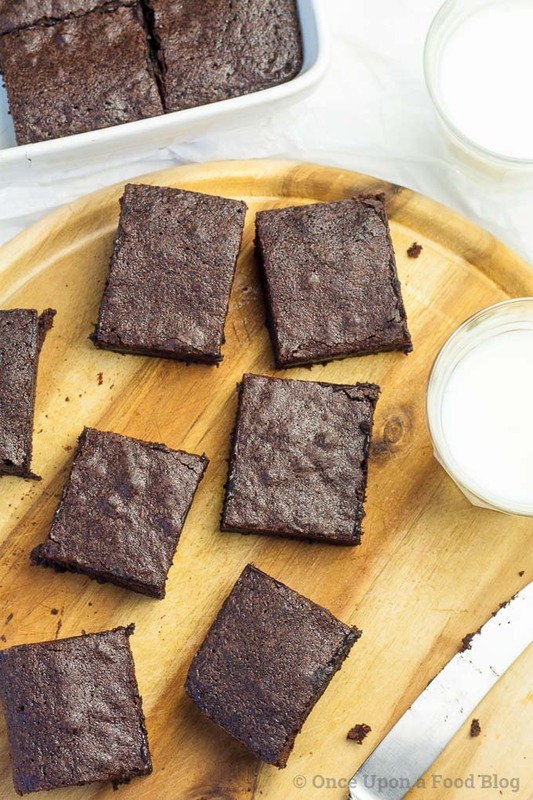 No chocolate and more butter makes a gooier brownie. 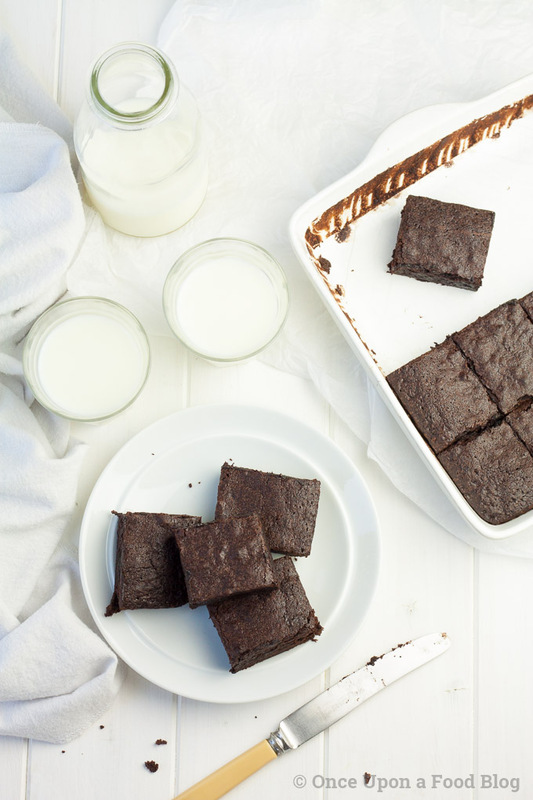 So, you end up with the perfect brownie. It has a sugary crunchy top and a gorgeously gooey, chewy centre. Can I make these more Eastery? Absolutely. They’re gorgeous with a handful of mini eggs stirred through the batter or scattered over the top just before you bake them. You could also scatter over some halved cream eggs. And if it’s not Easter but you fancy a loaded brownie then why not stir through some Maltesers or Rolos or scatter over some peanut or chocolate M&M’s. Grease and line a 19 x 23cm (7½ x 9 inch) dish. Melt the butter in a large pan over a very low heat. When the butter has melted, remove the pan from the heat. Gently whisk the sugar into the melted butter. Beat in the eggs and vanilla then add the cocoa and beat again. Gently mix in the flour taking care not to over mix. Pour into the lined dish and flatten with the back of a spoon. Bake in the pre-heated oven for 25 minutes. Leave to cool in the dish then cut into squares.